A ‘buy and sell exchange zone’ is launching at Peel police headquarters in Brampton Monday — the first of its kind for online shoppers in the Greater Toronto Area. Kicking off crime prevention week, the initiative is aimed at reducing violent crime. 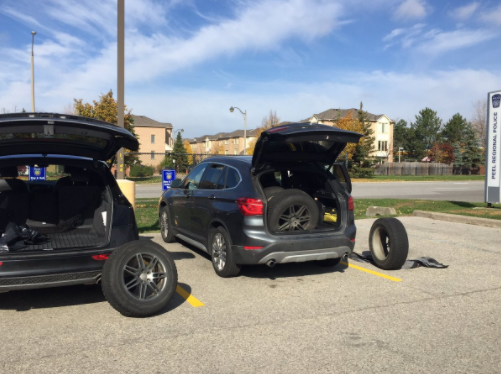 Residents are invited to use a pair of parking spaces at 22 Division, at 7750 Hurontario St., as a meeting spot to exchange goods in a safe environment. The dedicated, signed parking spaces are being monitored by surveillance cameras.